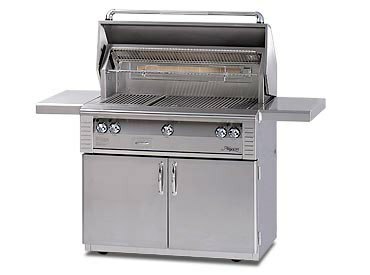 It is very hard to compare pro grills. The specs seem similar from BTU to gauge of metal. However, there are notable differences between all of them. DCS vs. Alfresco is a comparison of a smaller independent company versus a conglomerate. Both have their strengths. We will be comparing the largest grills these two brands offer at 48 inch. As a FYI, we will be cooking on these grills throughout April and May. You can receive alerts by subscribing to our BBQ newsletter. Alfresco was launched in 2000 by Dale Seiden, former owner of the Lynx brand. Seiden pioneered the vision of the “outdoor kitchen” through Alfresco’s Open Air Culinary Systems bringing the features professional chefs demand into the backyard. Their claim to fame is their chromium burner, which is resistant to the elements (important in New England). Industry-leading 27,500 BTU infared sear burner and is capable of reaching 1,500 degrees in only 4 minutes. DCS is an appliance brand known for its professional style cooking products and outdoor barbecues. DCS was a brand purchased by Fisher & Paykel, a conglomerate out of New Zealand known for manufacturing apartment size refrigeration, laundry, and dishwasher drawers. DCS began manufacturing cooking products in the late 80’s. Today, DCS markets grills to customers who are looking to incorporate commercial cooking technology into a residential application. Both are great grills without question. I like the construction of DCS, but Alfresco does have a lifetime warranty on their vaunted chromium burners. 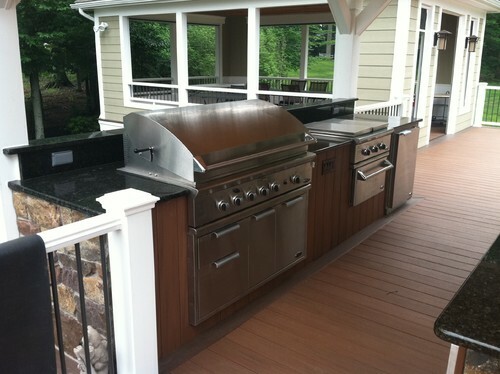 Alfresco offers a wide selection of outdoor kitchen appliances and accessories to complete your outdoor kitchen such as VersaPower cooking systems, side burner, wok, Teppanyaki griddle, bartending centers, sink systems, refrigeration, warming drawer, and various storage systems. DCS offers a limited selection of outdoor refrigeration, storage, and a warming drawer. Their line is a little more limited than the Alfresco product but still offers staple pieces that most people incorporate into their outdoor kitchens. DCS is also much less expensive, almost $4,000 less, with the ability to sear anywhere. Alfresco does have a more powerful sear at 27,500 BTU. The real important questions: How do they actually cook and how reliable have yet to be determined. Both are relatively new to us, as I said before we will be cooking on both throughout the month. 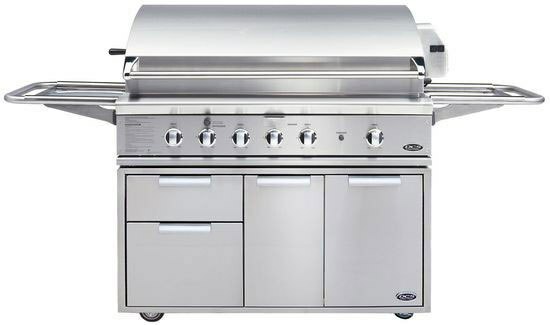 Get the Yale BBQ Grill Buying Guide with specs, features and BTU outputs of every major grill. Over 80,000 people have read a Yale Guide.